I'm falling in love...with Oxford! I've always had a soft spot for this enlightened city. Lately, we've had the chance to take more impromptu drives to the area and I couldn't be happier. It's grand and cosy at the same time. It's academic and serious, but quite artistic too. 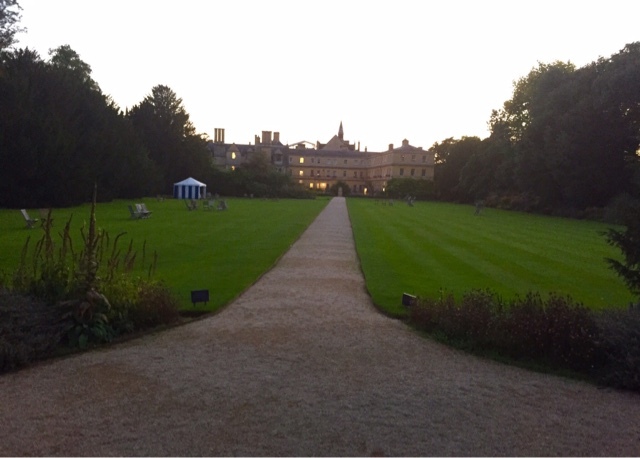 Last Sunday, after a not so fruitful attempt for a shopping spree in Bicester Village, my boy took the executive decision to drive to Oxford for dinner. 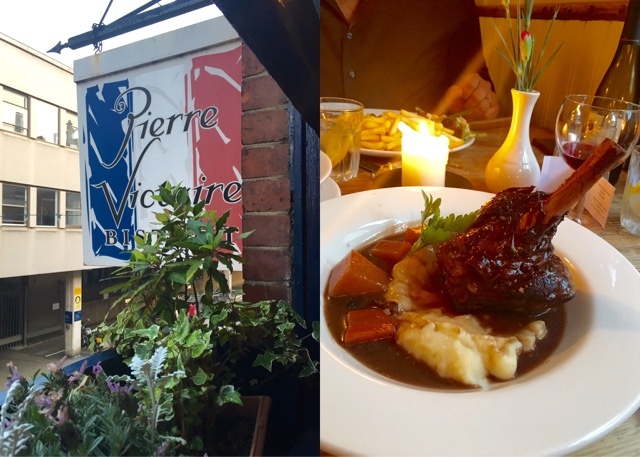 We were in the mood for a French bistro. 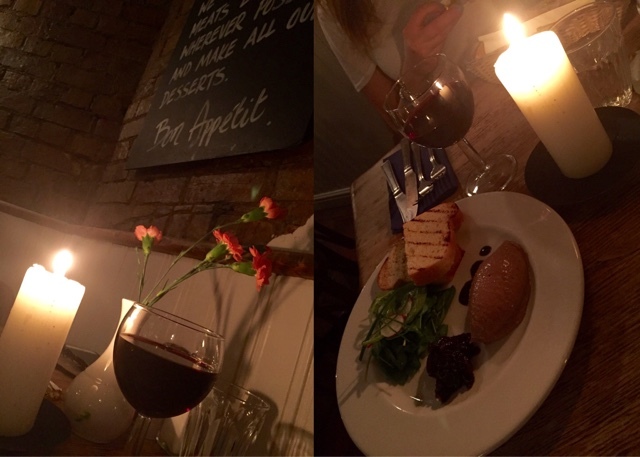 We were craving that Sunday night, cosy, candlelit atmosphere; you know! 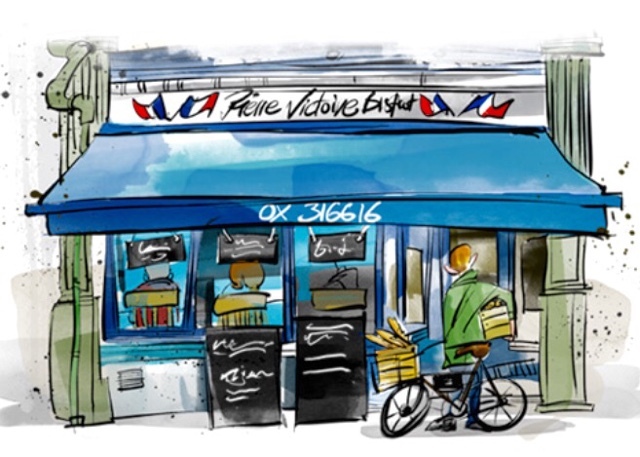 We picked Pierre Victoire in Little Clarendon street. What a cute little alleyway! 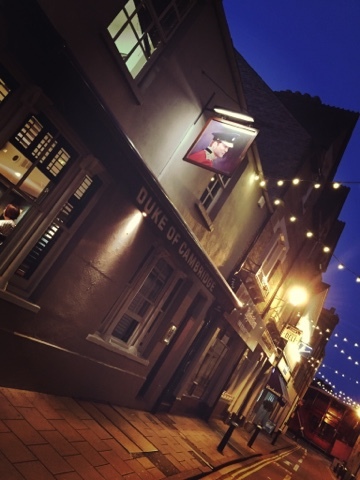 It was all lit up with whimsical strings of bright bulbs and it's also home to the first "Duke of Cambridge" pub I've ever seen too, with Prince William's painting above the front door. "Go Wills" I thought, "we are the same age and you already have pubs named after you; what am I doing wrong"? Joking aside, this sight for some reason made me smile. 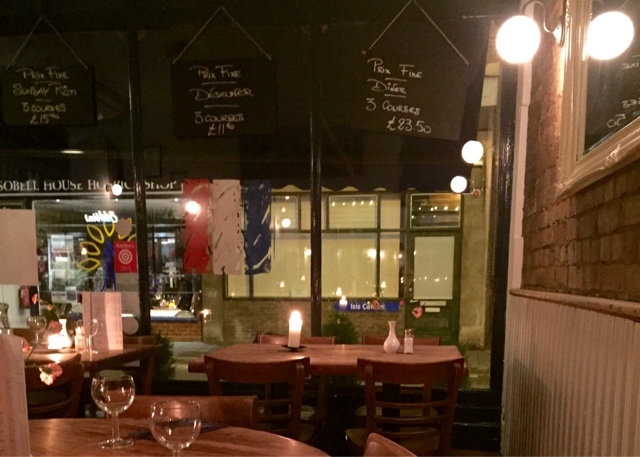 Candlelit, with dark round tables set up for intimate chatting, retro tiny vases with carnations on each table, blackboards with the day's specials and a very keen and chatty French waiter! Now let's hope the food will complete the picture. The duck parfait we had for starters was smooth and light, almost like foam - no, no fancy-schmancy. It was served very simply with slightly toasted baguette, voila! A glass of red wine and this little girl is very happy! The mains were spot on, too, we had lamb and duck, served with fries. French fries! "Rare"? Asked the waiter. "Medium rare" said I. "What a waste" said he! "Thanks for the honesty monsieur, much appreciated!" ...thought I. We couldn't get upset with him though, he meant it honestly and we certainly admire people who are ready to take a stand for their food!